As you probably know, what chicken breed works best for your family will depend on what you’re looking for, as well as where you’re located. 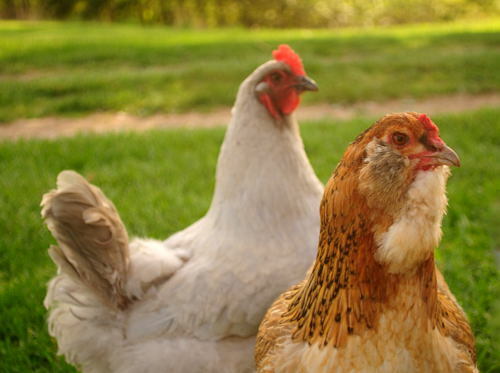 For instance, if you live in Minnesota and want a hen that lays brown eggs, you’re not going to like cold intolerant, white egg laying Leghorns very well! On the other hand, if you live in the desert southwest and want heat tolerant birds with spotted plumage, you’re not going to care much for, say, Black Cochins. That in mind, we recently asked our employees to officially share their personal favorite–and least favorite–chicken breeds or varieties. First, individual birds have individual personalities. Interestingly, there were also a few varieties that made both lists. We attribute this to the fact that our employees telecommute and live across the country, with flocks in vastly different conditions. Varieties that made both list are in BLUE. 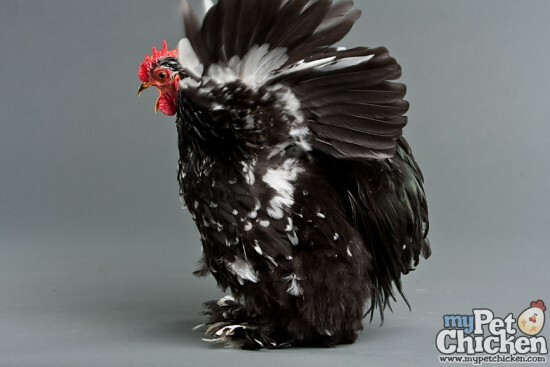 So… first, we’ll share our MPC favorite chicken breeds. Now we’ll share some of the varieties that didn’t work very well in our flocks. Do you have most and least favorites? Do you think people who disagree with you are crazy, or are they just having a different experience? Please share your favorites below–and let us know what varieties you’re hoping to get next! Dominques are my absolute favorite. Out of all of the different breeds I’ve had at this point, my Dom is the only one that really acted like a pet. I love my Speckled Sussex, my Buff Orpington, and my Salmon Faverolles, but none of them have been as personable as my Dom. My Blue Wheaton Americaunas were such pets, lining up to have a brief lap sit every morning, one at a time. Oddly enough my Speckled Sussex were flighty, unfriendly, and just not my favorite. I’d love to try Cream Legbars! Love my mille fleur duccles!! So friendly and love the colors. Very smart bantams. My hen lays all summer long. I do agree with you all on Brahmas, they are all of the good things but are pretty aggressive on the other girls, but I do love them for their friendliness towards me! Black stars can be mean towards my other girls as well but I do love barred Plymouth rocks and Opringtons. I am hoping to get some Speckled Sussex’s and Polish, too. I am wanting to raise around twenty five ? Roosters for meat only .a larger breed ,good old fashion taste . What and how should I accomplish this goal ? Don, as our name “My Pet Chicken” implies, we’re chiefly concerned with helping people keep chickens as pets. In fact, we don’t even sell “meat” breeds. 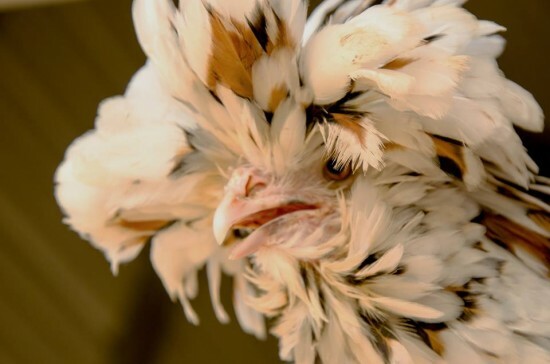 So my first advice would be to contact a hatchery that sells breeds raised for meat. Of course any chicken can be eaten, but most egg laying “backyard” breeds grow so slowly that by the time they’re large enough to process, they’ve cost a great deal in feed, and they produce tough meat–and very little of it–only worthy of being stewed. By contrast, modern breeds designed for meat production like the Rock Cornish Cross grow so large so fast that after 6 or 8 weeks their skeletons and hearts can hardly bear the stress of their own growth, and their legs may break underneath them, or their hearts may give out. So my second piece of advice would be to contact a hatchery that sells something “Colored Rangers.” They grow to size slightly more slowly, so they tend to be much healthier. Further, because they’re able to walk around and forage, they have more flavor and texture than the Cornish Crosses. Again, we don’t sell meat breeds, and can’t really advise on how to raise chickens for slaughter. But that said, we do hear from people who have, without research about the best breed for their situation, bought the meat crosses rather than egg layers, and have been devastated to find out they are sickly and don’t live very long. Commercially, they’re often fed a steady diet of antibiotics to increase growth and help them live long enough to process. For that reason, we can advise avoiding the Rock Cornish if you can, or at the least to be prepared for the health issues they’re likely to experience. 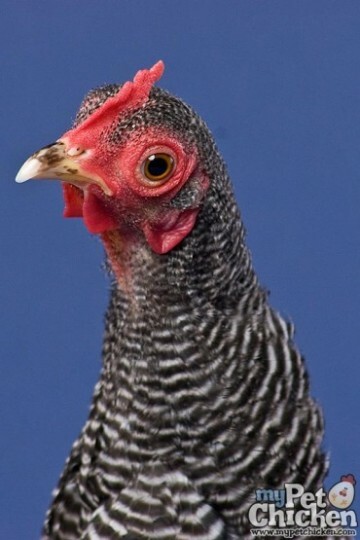 My very favorite breed of chicken is the Barred Rock they are not flighty birds, the ones I’ve had were very tame and would love to play with my toes when I would come in the summer to see them. Has anyone heard of a fry pan chickens. The local feed store had some I can’t find information about them. Please don’t tell me they are chickens to eat. Hi, Linda! 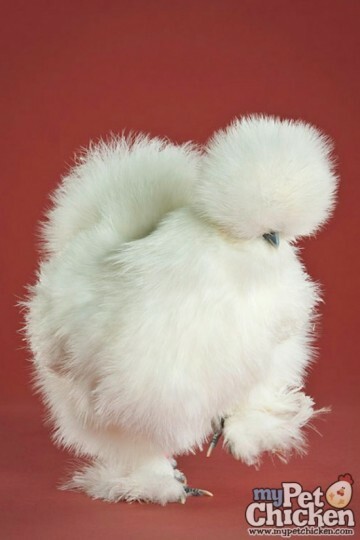 Yes, unfortunately, some varieties of chicken that are bred to grow very large, very quickly, are often referred to as “roasting chickens” or “fry pan chickens.” Those are usually a hybrid variety that are more accurately called Cornish Rock Crosses or Cornish Rocks, and they are bred solely for meat. It’s nothing to do with their personalities; by all accounts, they’re very sweet and docile birds. It’s just that commercially, they’re “designed” to be raised only to eight weeks or so, when they reach size. They grow so large so fast that they tend to be very short lived and unhealthy with issues like congestive heart failure, and sometimes their bones can’t even support their weight. We don’t recommend adopting them as pets unless you’re prepared to closely monitor them and limit their feed intake with veterinary advice. Even if kept as pets in a home where they receive excellent care, they seldom live very long. My Pet Chicken does not sell Cornish Crosses or any chickens kept specifically for meat production. (Of course, any breed of chicken may be eaten, and if you’re going to eat chickens, those raised in small flocks are certainly the humane way to go. But regular backyard breeds would disappoint most people because they are not what folks are used to: small, skinny, dark, tough, etc.) 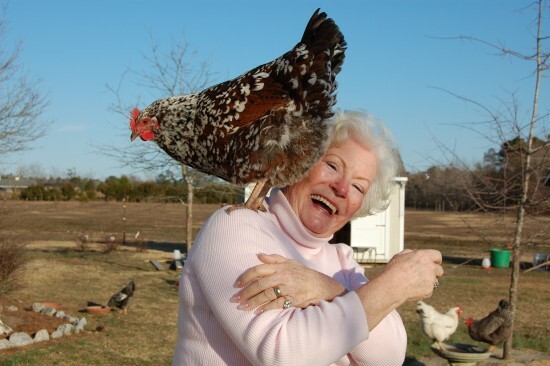 But the bottom line is, Linda: if you are thinking of adopting the “fry pan” chickens from your local feed store for your flock of pet chickens, we’d recommend against it.